The AA-MVL Vandal Resistant / Anti-Graffiti mirror features a polished sheet of Stainless Steel as the reflecting surface, there is no glass that can be shattered and become a liability issue. To protect the Stainless Steel reflective surface, a sacrificial plexi-glass sheet is placed in front of the mirror to take the abuse of keys and other scratching tools. 304L Stainless Steel (Best for Inland) , 16 Gauge, 18"x24"
304L Stainless Steel (Best for Inland) , 16 Gauge, 18"x36"
304L Stainless Steel (Best for Inland) , 16 Gauge, 18"x42"
304L Stainless Steel (Best for Inland) , 12 Gauge (20 Year Extended Warranty Against Vandalism) , 18"x36"
The AA-MVL is suitable for all public restroom facilities. The AA-MTL is available in 12, 14 and 16 gauge Stainless Steel that will stand up to heavy use, abuse and vandalism. Featuring a hidden lock design that provides security through obscurity. The Stainless Steel reflective surface ensures that if struck with a baseball bat, no shards of glass will result thus protecting your you and your customers. The sacrificial plexiglass sheet in front of the Stainless Steel reflective surface is designed to be cheaply replaced when vandals attempt to scratch the surface of the mirror. is The AA-MVL is ready to withstand the abuse of keys, baseball bats and size 12 sneakers. 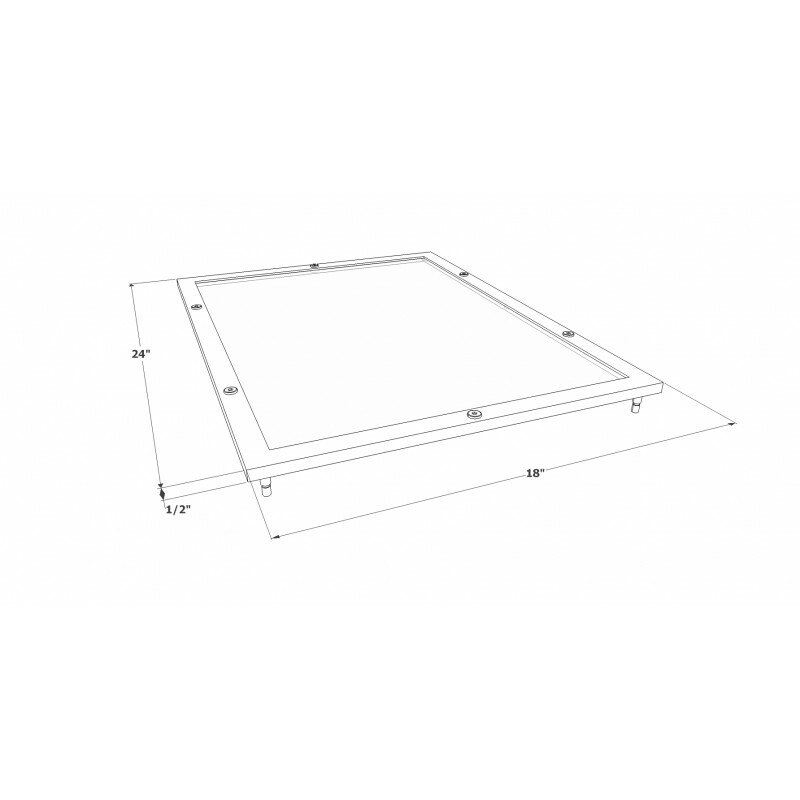 The AA-MVL mirror is ADA compliant when properly mounted and installed. 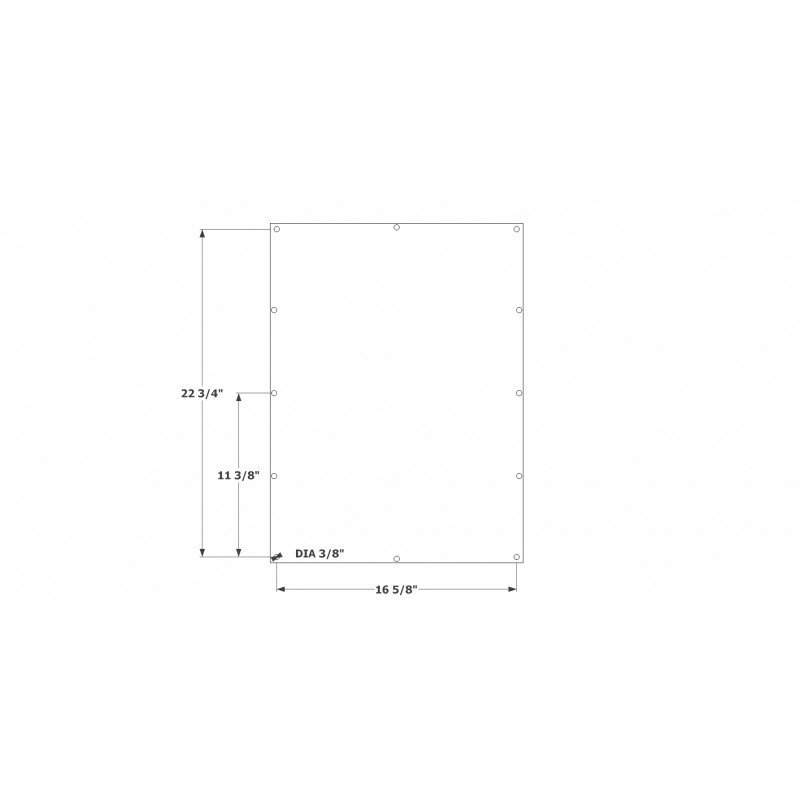 Mirror shall be constructed with American made 12, 14 or 16 gauge 304L, or 12 gauge 316L stainless steel with TIG welds, polished smooth and edges de-burred. Mirror shall not be cross-metal contaminated during manufacturing. Mirror shall have twelve 3⁄8” mounting holes. Mirror shall have replaceable sacrificial plexiglass. Mirror is warranted for materials and workmanship. 12 Gauge Frames shall include a lifetime functional limited warranty. See website for warranty details.